I tend to view circus and fireworks through the same lens: haven’t I seen that done before? But China’s Quinghai Acrobatic Troupe performed routines that made my eyebrows shoot heavenward and my jaw so drop the wonder is there was no cascade of saliva. I mean, picture five women, each spinning eight plates on eight sticks, and then performing dances and acrobatics while continuing to keep their spinning plates looking like eight white flowers waving in a gentle breeze. The genesis of Shanghai Mimi lay in the discovery of recordings of music from pre-war Shanghai in a unique style called shidaiqu, which blended swing jazz and Chinese folk music. The best of these songs – sung by Sophie Koh as the mythical Shanghai Mimi, backed by a quintet under pianist John McAll – contained a striking blend of diaphanous Chinese melodic influence with the groove, instrumentation and some harmonic elements of jazz. 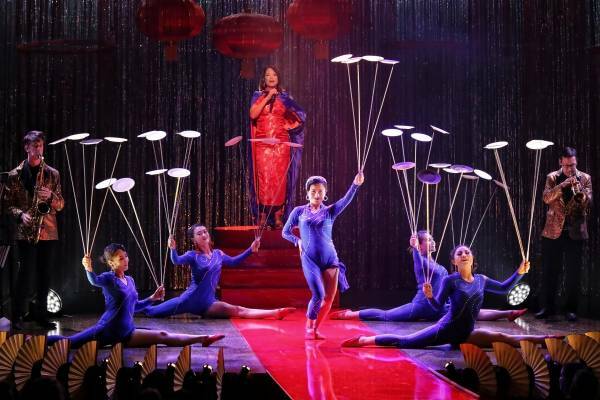 The show (conceived of by Douglas Hunter and directed by Moira Finucane) is brand new, and Koh, although vocally ideal (singing in Mandarin and English), still has to grow into the larger-than-life charismatic presence that Mimi wants to be. 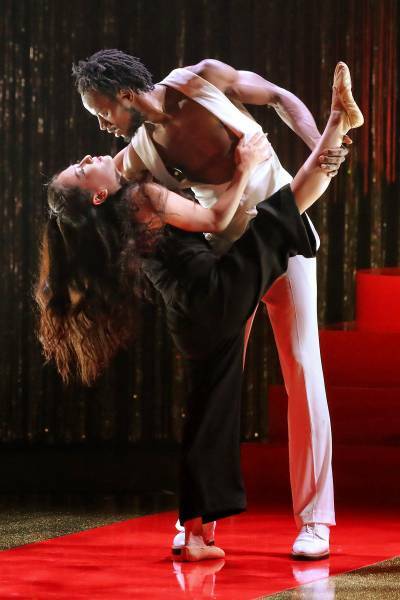 Similarly some of the choreography (Cameroonian Simon Abbe and Wu Baoyoung) and design elements (Eugyeene Teh) are not yet as sharp as they could be, although Abbe’s own dancing and Jenny Hector’s lighting are exceptional. The acrobats, meanwhile, are already flying. One routine sees a man making china pots defy the laws of gravity, another has the women doing things with hula hoops that I don’t think the hoops were expecting, and there’s a dazzling aerial routine of grace and sensuality. A masterstroke was to run a thrust stage half way out into Riverside Theatre’s stalls, and have the aerialists perform their extraordinary gyrations right above our heads. As with most circus (and opera), applause was overly milked, making the show 10 minutes longer than it need be. But with tightening, honing and Koh’s growth into her role, Shanghai Mimi could well become a world-wide hit.